One Pastor Adeniyi Onitiri, 57 years old, was arraigned before an Igbosere Magistrates’ Court, Lagos, on Friday for allegedly defrauding one Mr Tajudeen Lamitoye of N2.5 million. Mr. Adeniyi Onitiri is a pastor in one of the Pentecostal churches.He resides at No. 9, Adeshokan St., Alagbado Station, Lagos. The accused was arraigned on a two-count charge of fraudulently obtaining money under false pretence, known in the police circle as 'OBT'. The prosecutor, Cpl. 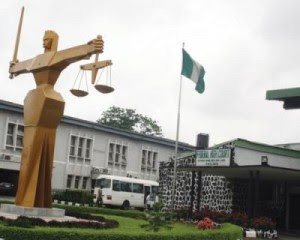 Emmanuel Ajayi, told the court that in November 2009 the accused collected N2.5 million out of N5 million from one Mr Tajudeen Lamitoye as advance payment to purchase an uncompleted bungalow at N13B, Aderibigbe St., Onike, Yaba, Lagos. He said that the accused refused to sell the property to the complainant after collecting the money. Mr. Ajayi said that when all efforts by the complainant to get a refund or the property proved abortive, the accused was arrested on Dec. 5. The prosecutor said the offences contravened Sections 312 (3) and 409 of the Criminal Code, Laws of Lagos State, 2011. Magistrate O.I Oguntade granted the accusedbail in the sum of N250,000 with two sureties in like sum.